So, how does one choose a neighborhood? What are the right questions to ask about a neighborhood? First off, ask yourself how comfortable you feel in the neighborhood. Is it safe to walk home at night? Are the streets well-lit? If you have kids, can they wander off throughout the block safely? It is always best to check out the city crime statistics. You can also get a sense of the neighborhood by trying to walk around the area and ask the neighbors about these things. Safety and comfort should be two of the top questions to ask the neighbors. This is a tough question to ask. What is really important to you? And then think about your everyday rituals. Is jogging important to you? Is there a place where you can jog or walk your dog? Do you want a neighborhood with coffee shops and restaurants? How far is it from the nearest recreation center or park? Do you want to live somewhere with nearby bars and shopping centers or movie theaters or bookshops? If you have children, ask if there is a daycare program nearby. Are there public or private highly rated elementary, junior and high schools in the area? If you’re going to live in the city, these are some of the right questions to ask. How close is it to public transit? Is it accessible to bus routes or subway stations? Do these stations have the lines that you need to get to work? After you have figured out what is essential for you, ask yourself if you are willing to trade it off with other more essential things? This is the tricky part. If visuals are important for you, ask yourself if you like the houses in the neighborhood. Are they well-maintained? Are the streets clean? Do you like big tall buildings? Do you prefer a quiet neighborhood with clean well-manicured lawns? Do the coffee shops and restaurants in the area look appealing? Do you want to hear pleasant sounds in the morning like birds chirping during your morning coffee? Or do you mind hearing trains screeching and roads bustling with energy and traffic? Get a good whiff of the air in that neighborhood. Do you like the smell? Perhaps, it’s the scent of freshly baked bread in the morning? Or do you mind taking in the fishy smell from the nearby grocer? It is best to go to the neighborhood at different times of the day, so you’ll know the different sights, sounds and smells at any given hour. Try to get a feel on how neighbors socialize with each other? Or do they keep to themselves? Ask yourself what is more important to you. Does the neighborhood match your taste in living environment? Does it meet your criteria of a good neighborhood? And of course, can you afford to live in that neighborhood? These are one of the right questions to ask. How much can you spend? And what kind of house do you need? Needless to say, what good is it if you like the neighborhood but you don’t have the means to live there? 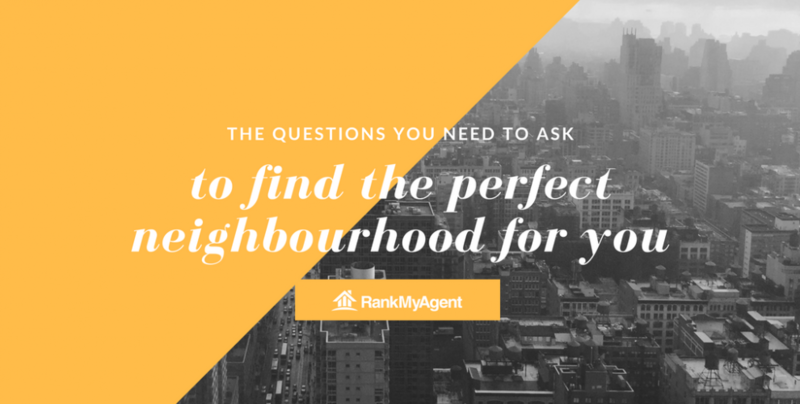 The importance of picking out the right neighborhood for you is very important; starting with the right agent would be a great first step.